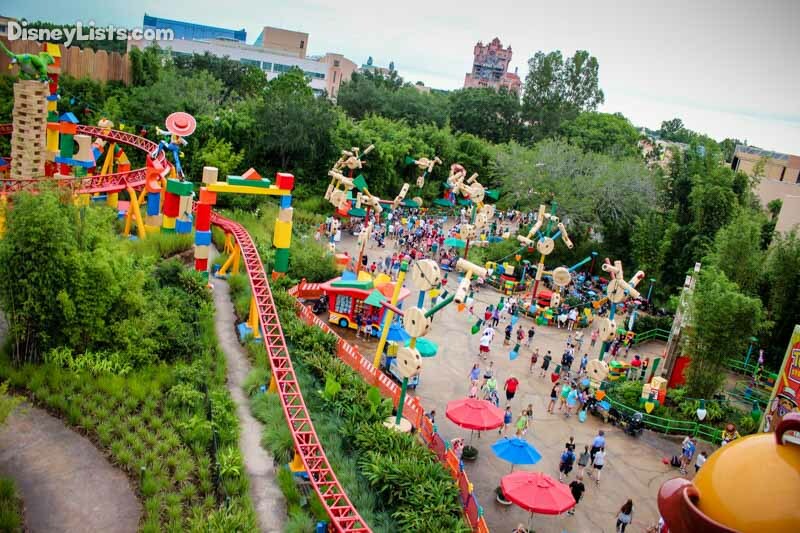 Toy Story Land opened for some serious playtime on June 30, 2018. The land itself has been a huge hit with guests, but the one attraction that everyone is talking about is the new family-friendly coaster, Slinky Dog Dash! This coaster has been a surprise in that it is a bit more intense than most expected, but it’s just a very fun ride. Read on to learn more about this fun coaster and with our recommendations the best experience on this attraction. When entering Toy Story Land, you’ll be shrunk down to the size of a toy and enter Andy’s backyard. As honorary toys, we’ll get an incredibly fun experience thanks to Andy’s active imagination. 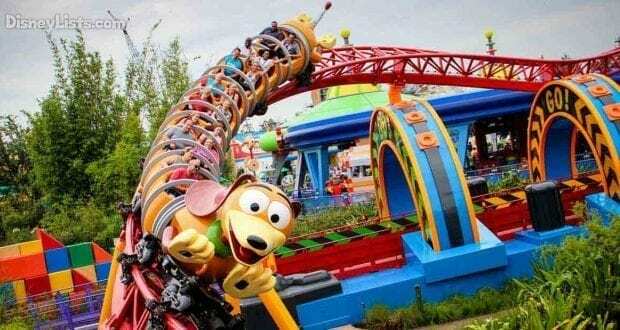 One of his creations puts his toys inside Slinky Dog’s coils as the lovable pooch twists and turns around the track. Andy used the Dash & Dodge Mega Coaster Play Kit to assemble this speedy toy and we get to ride it! Andy’s idea for his double-launch coaster – a Disney first – was to pick everyone’s favorite floppy-eared dachshund with the stretching coil body – Slinky Dog – to send guests around the track. The attraction’s ride vehicles are spring-tailed spinoffs of Slinky, the iconic American toy from the 1940s. Track and supports for the coaster are done up in bright colors of red, orange, yellow and blue. You’ll also discover Lincoln Logs and colorful wooden blocks supporting the tracks. Guests approaching the ride launch see Andy’s plans sketched out in Crayola crayon on notebook paper. Glue bottles, empty toy boxes, and stray coaster parts and pieces are strewn about – Andy’s pet project was clearly a work in progress when he was called away. In the regular standby queue, you’ll likely have time to look around and see many of the fun things Imagineers have created to keep the queue interesting with the long waits. There are also fans and water fountains for the hot summer days to keep cool. Andy was so thoughtful in that regard! The coaster is a fast-loading coaster and the wait times have averaged anywhere from 1-2 hours. Cast Members do an excellent job keeping things moving. The coaster ride itself is about 2 minutes long. In the first section of the coaster, you’ll launch out pretty quickly and get an excellent view of the land, Toy Story Midway Mania, and the Tower of Terror off in the distance. Andy also tricked out his coaster creation with a power booster. When Slinky Dog Dash hits its midway point, the coaster stops, reverses a few yards, then shoots through multiple rings pulsing with sounds, spinners, and flashing lights to launch riders into the second act of the ride experience. “The first half of the ride is many swirls, turns and dips, and after the second launch comes a drop and camelback humps – as if you were playing with a Slinky Dog toy,” explained Dave Minichiello, Executive Creative Director of Walt Disney Imagineering. After the second launch, you’ll also be treated to a great birds-eye view of Star Wars: Galaxy’s Edge! At Disney’s Hollywood Studios, Disney has attractions grouped into two different tier groups. Guests can only select one attraction from Tier 1 and two Tier 2 attractions. Both Slinky Dog Dash and Alien Swirling Saucers are in the Tier 1 category. Toy Story Mania also remains in Tier 1 making all three Toy Story Land attraction in Tier 1. All other FastPass+ attractions in Hollywood Studios are now in Tier 2. This means guests can only reserve one Toy Story Land attraction for their initial 3 reservations for the day. 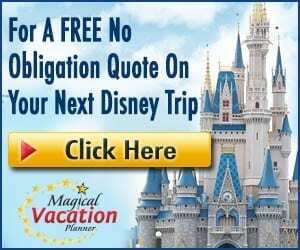 If your budget allows we recommend at least two days set aside to visit Hollywood Studios so you can spread out your Toy Story Land FastPasses. When you arrive at the park, head straight for one of the Toy Story Land attractions you don’t have a FastPass for. Expect lines in the one to two hour range, but generally, the earlier you arrive the shorter the wait will be. Out of all three attractions Alien Swirling Saucers has had the shortest wait. So we recommend you try to get a Slinky Dog Dash FastPass first, then Toy Story Mania on another day and hit the standby line for Alien Swirling Saucers. We also recommend that you make your FastPass reservation as soon as your window opens at 7:00 am EST. Make your Toy Story Land FP reservations first before any other parks. 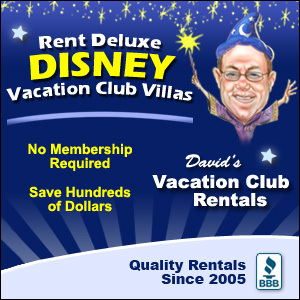 Also, look for FP availability at the end of your vacation first and make those reservations first. For example, if you arrive on a Sunday and are staying the full week, make your reservations on your last day (Saturday) first and make your way backward making reservations until you get to your arrival day. This rollercoaster is simply a whole lot of fun. During construction, this coaster was often compared to Seven Dwarfs Mine Train in Magic Kingdom. Most assumed it would be on that level of intensity. To the delight of many guests, it is more slightly more intense that Mine Train mostly due to its slightly faster speed and the fact that you do get quite high in the air—at least compared to Mine Train. We do find it less intense than Big Thunder Mountain because it does not whip you around as much. It’s a very smooth ride. Children need to be at least 38 inches to ride this attraction. If they have enjoyed Mine Train, they will likely love this coaster! Also, be sure to visit Toy Story Land at night! The land is a completely different experience at night and riding Slinky Dog Dash at night is even more fun than during the day!